A comprehensive video guitar course that systematically builds your vocabulary of essential Guitar Chords and gives you the secrets of Strumming Like a Pro with a detailed system for Mastering Rhythms. 24 hours of video, a 236 & 180 pg Manual & 394 Jam Tracks, +Bonus 116 pg Chord Dictionary. Instant Download, and DVD versions available. 60s Guitar Strumming is a course that covers how to play 17 classic rock songs from the 1960’s. Songs like “Pinball Wizard” from The Who, “While My Guitar Gently Weeps” from The Beatles, “Bad Moon Rising” from CCR and more. 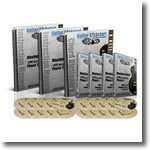 70s Guitar Strumming is a course that covers how to play 20 classic rock songs from the 1970’s. Songs like “Show Me The Way” from The Peter Frampton, “Give a Little Bit” from Supertramp, “Highway to Hell” from AC/DC and more. 80s Guitar Strumming is a course that covers how to play 20 classic rock songs from the 1980’s. Songs like “Patience” from Guns N’ Roses, “Tempted” from Squeeze, “Jack and Diane” from John Mellencamp and more. 90s Guitar Strumming is a course that covers how to play 20 classic rock songs from the 1990’s. Songs like “Wonderwall” from Oasis, “Drive” from Incubus, “Plush” from Stone Temple Pilots and more. 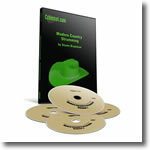 Modern Country Strumming is a series of courses that cover how to play some of today’s top country hits. Songs like “Cowboys and Angels” from Dustin Lynch, “My Wish” from Rascal Flatts, “Austin” from Blake Shelton and more. 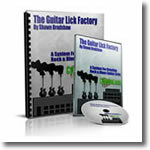 The “Guitar Lick Factory” is a system you can use to create all kinds of great sounding guitar licks by learning just a few simple and easy to remember patterns on the guitar.19 videos with over 1 1/2 hours of video guitar lessons with all of the music examples in tablature on screen. A 30 page PDF manual with all of the examples along with text explanations the ideas and licks. 36 MP3 Jam Tracks.